Unlike previous times, Shah Rukh Khan had fuss-free birthday celebrations this year in Alibaug with his close friends and family. 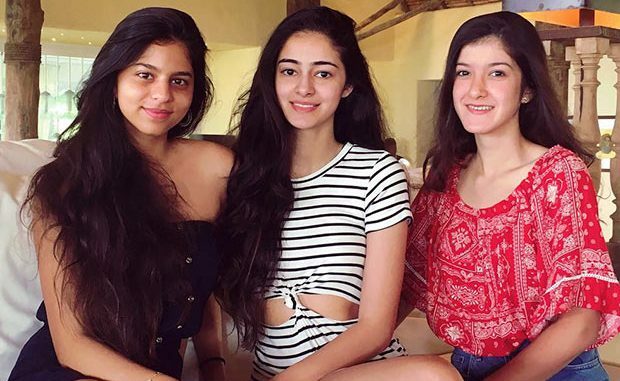 Shah Rukh Khan’s daughter Suhana Khan was accompanied by some of her friends- Shanaya Kapoor and Ananya Panday. Zoya Akhtar shared a photo of the girls and called them, “Powerpuff Girls.” It turns out that Sanjay Kapoor’s daughter Shanaya shared her birthday with SRK. So, it was double celebrations last night. For Shah Rukh Khan’s 51st birthday party included Shah Rukh Khan’s close friends like Karan Johar, Shweta Bachchan Nanda, Zoya Akhtar, Imtiaz Ali, Ranbir Kapoor, Sanjay Kapoor, Bhavana Panday, Ayan Mukerji, Maheep Kapoor and others.